Human teeth have natural mechanisms in place to protect them against decay. However, once a cavity develops, a dentist must step in to treat the problem and prevent it from becoming worse. Here at Dental & Cosmetic Solutions, our team is proud to offer tooth-colored fillings near Chagrin Falls. They have the power to restore your teeth and stop the spread of decay without marring your smile’s beautiful appearance. Contains roughly 50 percent mercury. Mercury is a highly toxic metal that has been associated with hundreds of symptoms, including headaches, nausea, dizziness, and depression. Is not safe for the teeth. Metal fillings tend to expand and contract when they come into contact with extreme temperatures. They may therefore contribute to tooth fractures and tooth sensitivity. Lacks aesthetic appeal. 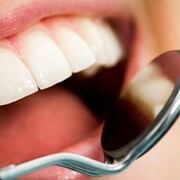 Amalgam fillings are quite dark and clash with the natural color of teeth. Then can even cause permanent staining on the enamel around them. Rather than being made from metal, tooth-colored fillings are made of a flexible composite resin. Our team uses only high-grade resin that poses almost no risk to your oral and overall health. Also, these fillings do not expand and contract with temperature changes, a trait that helps them preserve the structural integrity of your teeth. 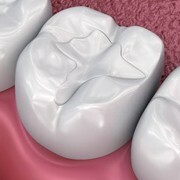 Many patients also appreciate resin fillings for their beauty. The material comes in a variety of shades that our team will match to the enamel around the cavity. Onlookers may never notice that you’ve had some dental work done! During the placement process, your dentist will prepare your tooth by removing areas of decay (typically, less tooth preparation is required with resin fillings than with amalgam ones). Then, they’ll insert the resin into the cavity and use a special light to harden it. You may experience some sensitivity following the procedure, but this should be fairly minimal. Some patients already have amalgam fillings in their teeth and wish to replace them with composite resin fillings. We are one of very few practices in the area that take extra steps to ensure your safety during mercury removal. We will protect you from dangerous vapors and preserve as much of your teeth as possible throughout the procedure. Then, we will replace the old fillings with composite resin ones. Visit us twice a year for routine checkups and cleanings. We’ll always examine your restorations and recommend repairs or replacement when appropriate. Consume staining foods and beverages in moderation. Just like your natural teeth, your fillings may become discolored over time. Being mindful of what you consume can help your entire smile maintain its luster. Choose an alcohol-free mouthwash. Prolonged exposure to alcohol may soften the resin. Do you suspect that you need a filling, or would you like to have your old mercury fillings removed? Contact us to learn how we can protect your oral health without downgrading your smile’s beauty.